It’s been days and days of not being able to smell anything during this bout of flu. My good friend even gave me three bottles of the most lovely perfume – and I couldn’t understand a whiff of it although M. assured me it was perfect (she has the most amazing taste and totally “gets” my taste, thank you again, G., I love them). Not being able to smell really heightened my thinking about how important – and interesting – scents and smells and odors can be. Last year, I invited some of my students over to work on the last touches on their thesis, and one exclaimed, “this must be what Turkey smells like, spicy!” I laughed at this in the friendliest way possible, as I was slow-cooking pulled pork for sandwiches at the time, which my students were surprised to hear. It was a good moment for a little soft education on Turkey, Islam, secular Turks with Muslim origins and the Turks in America that I know who eat lots and lots of barbequed pork. But back to the topic at hand…aromas and the fact that I have been missing them as of late. 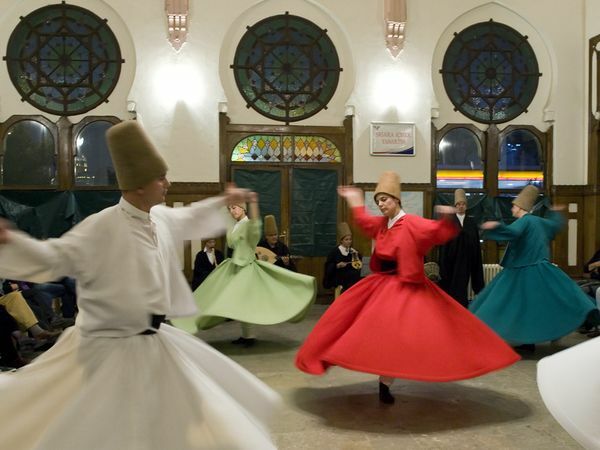 In my dream last night, I could smell everything….my dream was set in Konya, where Rumi is from. I smelled a lot of clean bright air, the smoke of pine-infused incense and the unctuous wafts of pomegranite and garlic-infused lamb kebabs. I could smell freshly-squeezed tangy portakal suyu (orange juice) and salty ayran (yogurt drink like a lhassi) that left goosebumps on my tongue. Mercan Bey was in my dream, he is the spice trader puppet from the Arabian peninsula who was swirling and twirling along with a band of Sufis I had never seen before. 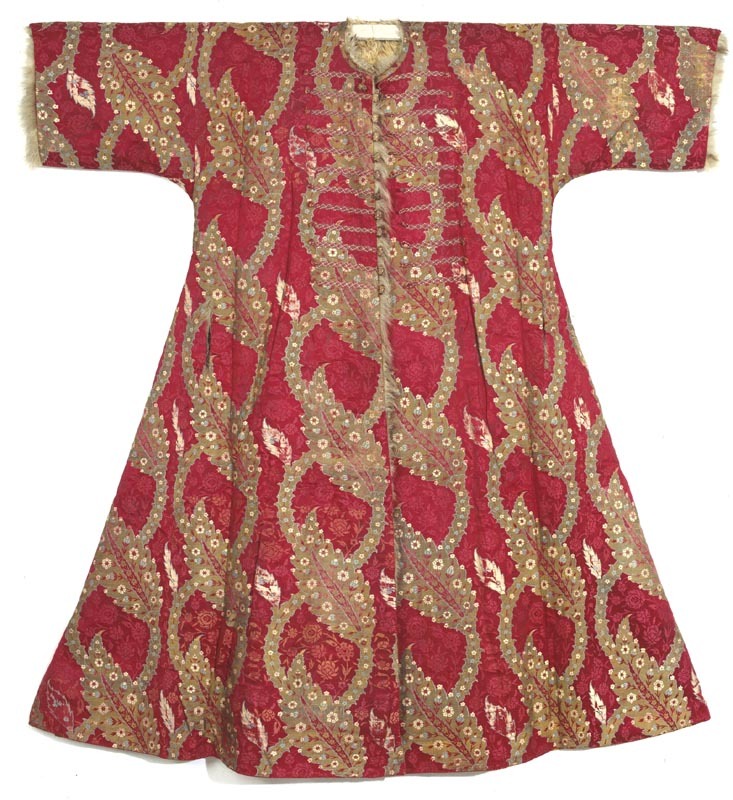 Mercan Bey had a robe that was both cayenne red and sage green and the colors swirled into a range of Iznik patterns as if sand drawings were floating in the ephemeral air around the dancing Sufis like a kaleidescope. I forgot about the aromas for a while, and just watched the shape-shifting colors. Although the Sufis usually have white robes – in this dream, some had deep vibrant red robes and some had dusty but deep grey-green or blue-green-teal robes – including the colors of pul biber (Aleppo pepper as Americans call it – from Antep) and kekik (dried thyme gathered by ancient aunties on Bozcaada – at least that’s what I have in my kitchen). Swooshing sounds filtered into my ears- as much as I love the Sufi dancing – I am dizzy every time, ending up looking away and just focusing in on the music of the ney instead. As I swooned along to the sounds, a whispering, Arabic-accented voice entered the realm of my head through my left ear…”I know what you need, m’lady,” Mercan Bey whispered, “you need a lot of your most hot and spicy pul biber – and some kekik too – put it in a soup – it will make you feel a lot better and bring some sunshine into this cold, grey, Godforsaken place you call New England. It may help you regain your sense of smell as well.” Dreaming of those pungent smells that come alive when heated in the kitchen – or in the sun at the Bozcaada bazaar on market day…I began to craft plans to make a creamy spicy soup as I eked out a few more minutes of golden shuteye before beginning the morning awakening process. I thought about making Tarhana Çorbası (you can read more about Tarhana Çorbası in a previous post, here) but decided to do something different today. Musing on the psychedelic patterns in Mercan Bey’s dream kaftan, I stumbled around on this, my first day out of bed in a while. Kenne, the Queen of Manners and PROPER BEHAVIOR, decided that this NEEDED to happen. She also decided that I NEEDED to cook supper for M. as I am, after all, his wife, and as he has been doing EVERYTHING (i.e. cooking, cleaning, dog-walking, grocery store visiting, eczane (pharmacy) visits to get more Kleenex and NyQuil) for the past couple of days. Kenne, you see, she is really shocked at M.’s not-traditionally gendered behavior. Esma, on the other hand, has been ever the peaceful counter-cultural hippie, encouraging Kenne to question her gendered assumptions and search for her potential Feminine Mystique a la Betty Friedan’s famous book. Kenne won out over Esma, who gave up her battle to enlighten Kenne on the benefits of feminism and gender equality. Kenne just sniffed her way through it. But back to the topic of Turkish aromas, let me tell you that I placed Kenne at the helm of my cooking ship for the day. First, she instructed me to look at what I had in the house by way of provisions, as I wasn’t venturing out of it. I noted that we were awash in bananas, clementines and carrot juice with a snitchet each of sausages, lettuce and cheese. Looking in at my pantry, I was relieved to see big bags of potatoes and onions, so I decided to make a healthy creamy potato soup to go with salad and open-faced broiled cheese sandwiches. Kenne suggested that I make Patates topları (see photo below to the left), but I didn’t have it in me to go and get some plain yogurt – as we only had mango-apricot yogurt. Feeling exhausted already, I decided to start by baking the potatoes and the garlic at the same time. Placing the potatoes and peeled garlic cloves in a healthy drizzle of zeytinyağı (zay-tin-yah-uh, olive oil), I let the 350F oven do the rest. Kenne clucked approvingly – that’s been a long time coming. Sitting down in my Great-Grandfather’s Mission-style reclining chair, a place in which much of my writing magic occurs (along with all of my grading), I sat back and caught up on my favorite blogs as I imagined wafts of slowly roasting sarmısak (sar-muh-sahk, garlic) begin to roll out through our home like flower petals unfurling on a warm dawned day. Too bad I couldn’t smell that wafting magic. As I wound my way through the Interwebs to Ankara (to visit Adventures in Ankara) and west to Bodrum (to visit Perking the Pansies) and on down to Okçular (to visit Archers of Okçular ) and then up to Kirazli (to visit Being Koy) and over to nearby Selcuk (to visit Pul Biber with Everything) before I decided to take a bigger step into the pool of Istanbul-based blogs. I was lucky enough to find a new one – Drawing on Istanbul – which is part of a two-year project to document, in pen and paper, well, Turkey – the blog’s author describes her project as follows: “Since 1999, I’ve been creating an ongoing documentation, in drawings augmented by written vignettes, of life in Turkey. The drawings are in sketchbook format, and there are now over 2000 of them, with about 100 polished written pieces. Turkey’s growing recognition as a pivotal world power, tourist destination, and host to the genesis of much of Western culture makes these drawings increasingly relevant. In addition, much of the subject matter has been irrevocably altered or destroyed since I drew it, so the Drawing on Istanbul database is a unique record of the way Turkey looked during this shifting, changing time in world history.” Check her out! 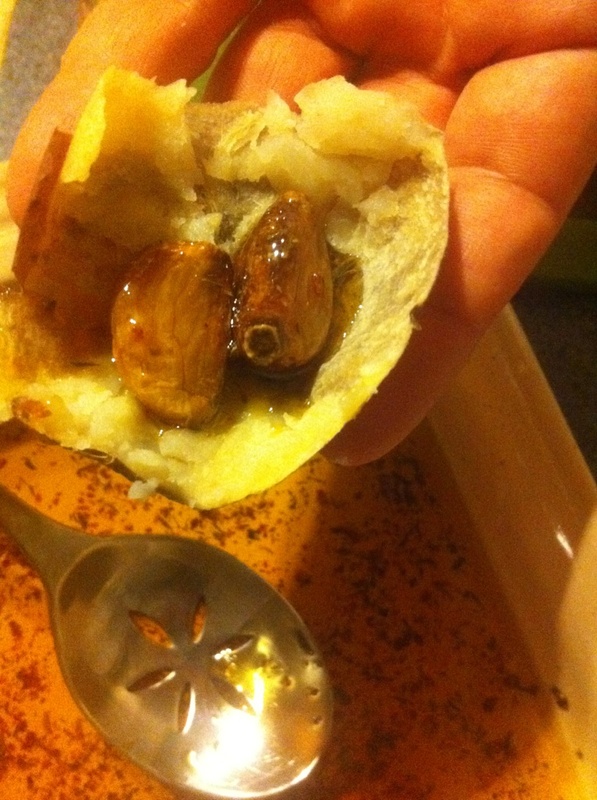 I quickly removed the mangled garlic bodies -and added in several healthy dollops of pul biber and kekik – revelling in the newly-returned aroma of both together in the hot oil. M. arrived just then, smiling at the aroma of garlic. As we stood shoulder to shoulder at the counter, peeling hot potatoes for the soup – we wrapped each of the discarded paper skins around the baked garlic for what can only be described as a reduce, reuse and recycle-oriented appetizer. “It’s so nice when this house smells like Turkiye,” I thought, as the puppets sighed in happy-hearted agreement. 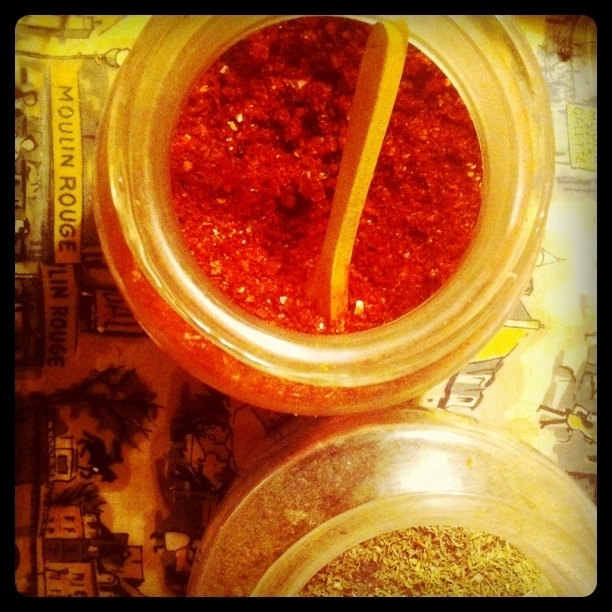 This entry was posted in Turkish Food!, Visits from the Karagöz puppets and tagged Aleppo pepper, Betty Friedan, dried Thyme, food, Kekik, Potato, pul biber, Sufi, Turkey blogs, Turkish American, writing. Bookmark the permalink. what a nice, atmospheric post – I felt as though I was really there in Turkey – thank you! Seriously! Glad you are on the mend – from in the viral sense 😀 Off to explore the ‘Drawing’ blog. So, when can I come over for lunch? Everything smells delicious! 🙂 Loved your line about “soft education” – so important to do these days, especially in post-9/11 U.S. As for Rumi and whirling, have you read “The Forty Rules of Love: A Novel of Rumi” by Elif Shafak? This photo exhibit looks wonderful and I believe there’s a published book of the photos – http://lens.blogs.nytimes.com/2011/11/23/a-whirling-document-of-turkish-culture/ – Olsun iyi! Glad to provide. WIsh you and J. could join us for a meal! I think we might find a collaborator over at the drawing blog? I wish you could! Let me know if you are ever up in Boston!!! Soft education just flowed out in the writing – but I actually think it is a good desrptive term for those moments. I just have to not get sick of participating in those moments!! Just finished 40 Rules of Love last month – was into it and am a big Elif Safak fan – have you read Black Milk re: motherhood stuff? Thank you so much for the link – going to dive into it! So glad to have connected with you – also – M. visited your site and was excited to see overlaps in your travel – he has also been to Sri Lanka and Nepal. Can’t wait to see where your blog goes next! May we meet all sometime soon!